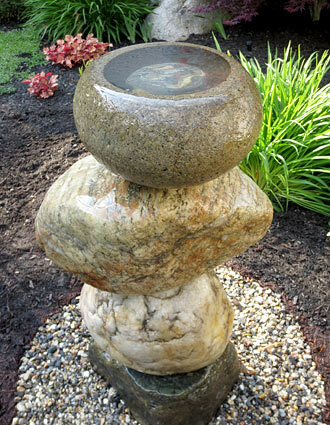 Louis Pomerantz’s fountains are hand-built and artist-designed of natural stone. 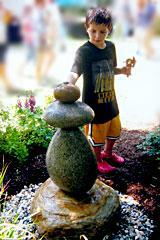 Installations of his fountains have been a part of Paradise City Northampton’s sculpture gardens for several years, and over 100 of his fountains are installed in New England gardens and landscapes. 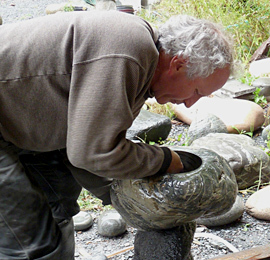 New work is created for each show from unique collected stone. He includes at least six fountains within each garden display, and sometimes bird baths are also shown. 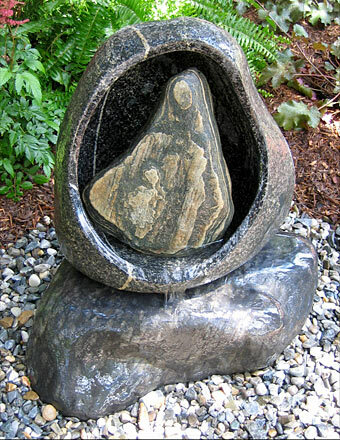 The sound and play of light from water on stone helps visitors and prospective customers to visualize with the artist how any piece would work in a particular garden setting. Delivery and custom installation after the show is included in the price of each work.